"The Kepler Mission will, for the first time, enable humans to search our galaxy for planets as small as or even smaller than the Earth. With this cutting-edge capability, Kepler may help us answer one of the most enduring questions humans have asked throughout history: Are there others worlds similar to the Earth in the Universe?" "Take a bare 100 watt light bulb and switch it on. Step back about 300 miles. Once you're in position, arrange for a friend to slowly pass a pinhead 30 feet in front of the bulb without notice or warning. Your job is to detect the decrease in light when the pinhead gets between you and the bulb. I suspect that's not something you do every day. But NASA's Kepler telescope will be doing it every half-hour for the next three years and more. In fact Kepler will be measuring the brightness of more than 145,000 light bulbs (stars). Kepler will continuously monitor the luminosity of 145,000 stars in the region of constellations Cygnus and Lyra, looking for dimming of as little as 0.006 percent of a star's brightness. Unlike other schemes for finding planets around distant stars (so-called "exoplanets"), Kepler may discover Earths. That is, it can detect worlds hundreds of light years away that are comparable in both size and orbital position to our home planet. Cousins of the Earth – and obvious candidates for life." An artist's impression of the Kepler's hunt and its target stars shown on the right above is due to Jon Lomberg, NASA. A little over a year after take off, on June 15 2010 the Kepler team released a massive list of 300 extrasolar planets already found. At least a dozen of the candidates are of comparable size to COROT 7 b at just 1.6 times the diameter of Earth, and some are estimated to be slightly smaller. 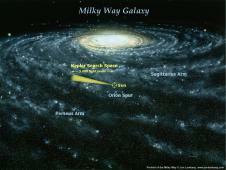 "Kepler has seen Earth-size planet candidates. But before COROT 7 b loses its crown as the smallest known exoplanet, Kepler's candidates must be verified with more data to rule out possible errors". 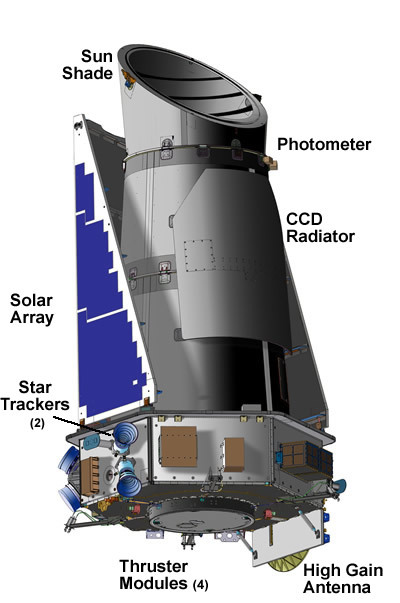 The Kepler space telescope continued its mission successfully until May 2013 when one of the three reaction wheels that enables the instrument to aim very accurately on its target malfunctioned. For several months it was thought that nothing could be done to continue searching for transits. However the ingenuity of the scientists and engineers found ways to continue to use the instrument. Kepler's loss of a second spacecraft reaction wheel in May 2013 effectively ended data collection in the original Kepler field after 4 years of continuous monitoring. However, all other Kepler assets remain intact and can be used to continue the mission. In June 2014, K2 became fully operational, obtaining a photometric precision approaching closely that of the Kepler hardware it inherited. On 7 January 2015 NASA announced that Kepler had confirmed the discovery of 1000 new planets with many more probables. Whilst many of them were large gas planets there were quite a few only slightly larger than Earth which have been named as Super-Earths. To date some planets have now been located that are a slightly smaller and of lower mass than the Earth. 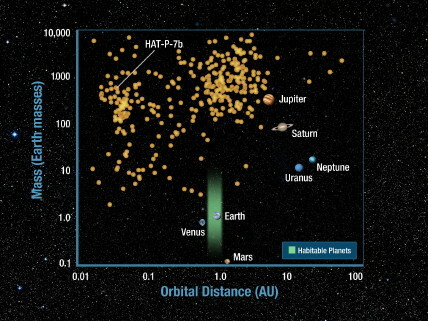 A number of stars have been found that have several planets. One of the most promising discoveries is that of the Kepler 186 system. The star is about 490 light years from Earth. The star is a red dwarf and less massive than our Sun. Five planets are known to orbit the star. The most distant of the five is Kepler 186f. This planet may lie in the habitable (Goldilocks) zone . Although much nearer to the star than the Earth is to the Sun, it may be distant enough not to be tidally locked. It may however probably rotate much more slowly than Earth and its day could be weeks or months long. The ultimate prize of Kepler's hunt, an Earth type planet in the habitable zone orbiting around a sunlike star, remains years away. 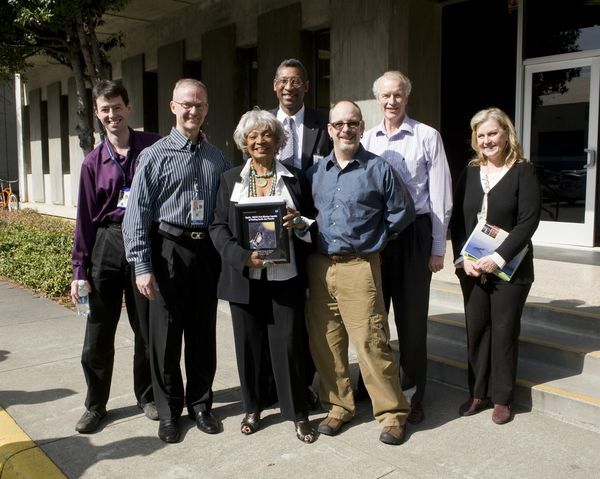 The Kepler team's protocols require that three transits must be recorded, along with other observations, before a candidate can be confirmed as a true planet, and an Earth-like orbit will carry a planet into Kepler's view just once a year - when the three objects—the planet, the host star and Kepler—fall into alignment. The Kepler transit graph diagram shown on the right above is courtesy of NASA, as is the illustration of the Kepler mission satellite shown on the left below. There can be almost no doubt that we are on the brink of discovering planets like the Earth. The next missions which are even now being planned are the Terrestrial Planet Finder by NASA and the Darwin Mission by the European Space Agency (ESA). In view of the financial situation it is likely that the missions may be amalgamated and that they may take a more international character.